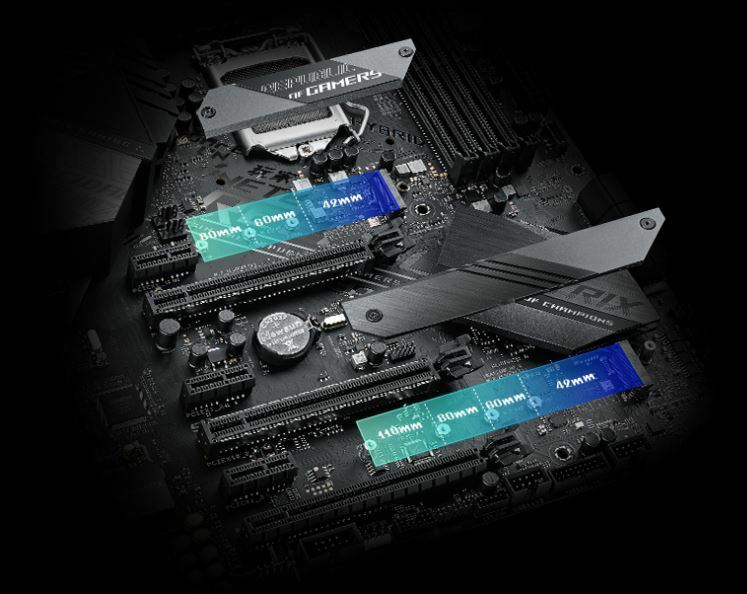 The M.2 heatsink perfectly chills an inserted M.2 SSD — for consistent performance and reliability. A dedicated M.2 fan header helps keeps temperatures low for improved performance and longevity. 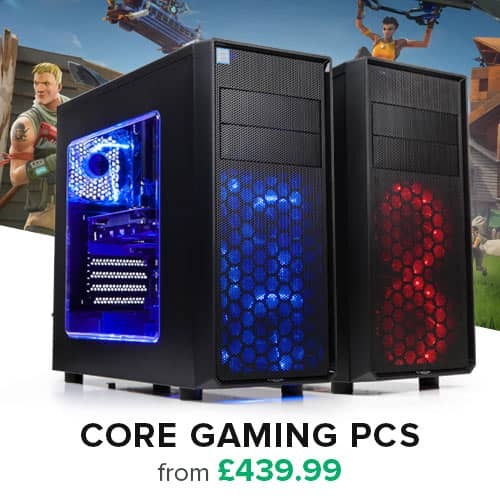 An included fan holder and MOS fan cool vital motherboard power VRM and CPU zones to ensure stability and performance. A high-quality thermal pad helps transfer heat from the inductor and phase array to the heatsink, and the heatsink's large cooling surface then chills the power phase. 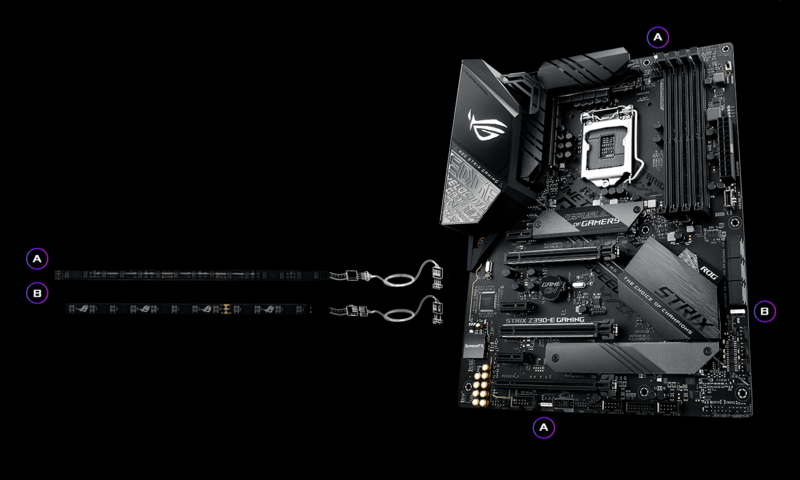 ROG Strix Z390-E Gaming features dual M.2 slots. 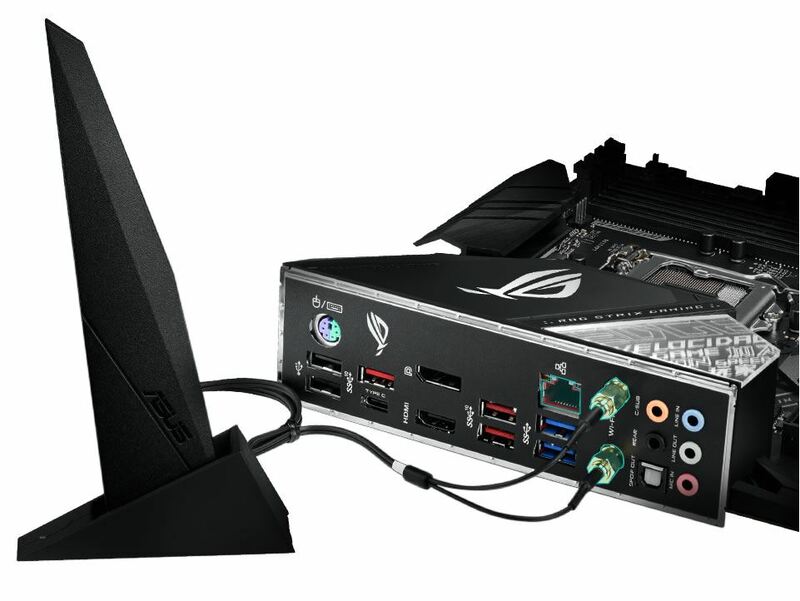 One slot supports both SATA and PCIe 3.0 x4 modes, and the other slot supports PCIe 3.0 x4 for NVMe. Together, they give you the fastest and most-flexible M.2 interface available. 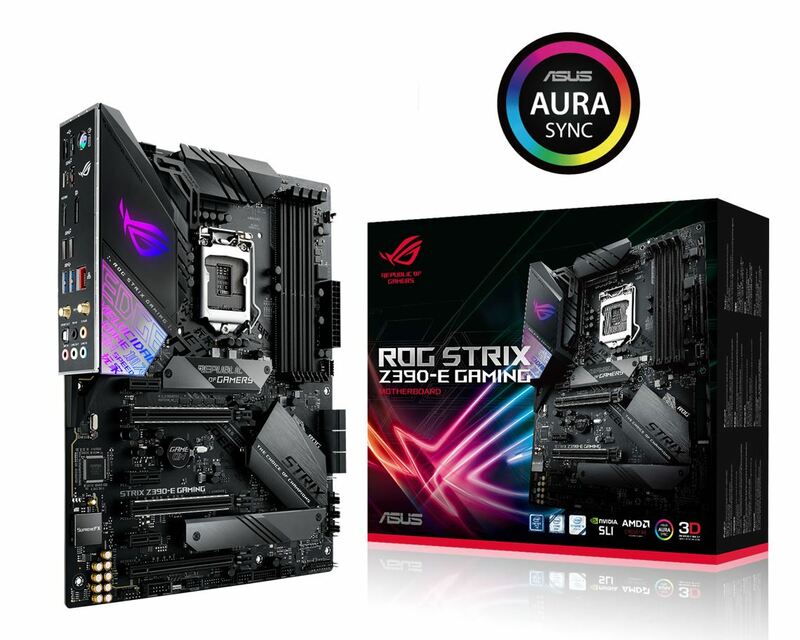 To provide Intel's latest CPUs unfettered access to memory bandwidth, motherboard trace routing has been reimagined with the ROG Strix Z390-E Gaming. 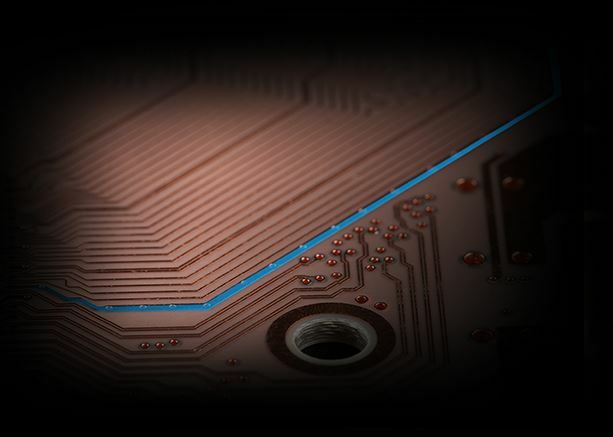 Integrated OptiMem II technology carefully maps memory signal pathways across PCB layers to reduce vias, and it also adds shielding zones that significantly reduce crosstalk. 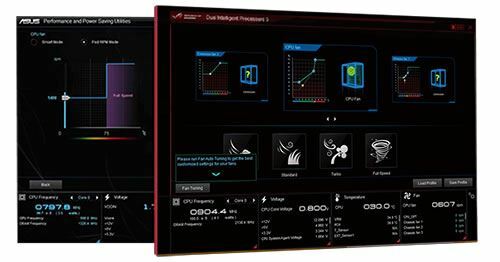 To further enhance overclocking headroom for fully stacked memory configurations, a highly customized T-Topology layout delivers time-aligned signaling. 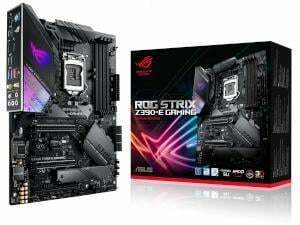 ROG Strix Z390-E Gaming features Intel 802.11ac Wi-Fi with 2x2 MU-MIMO and wide 160MHz channels, for wireless speeds of up to 1.73Gbps. * In fact, its integrated Wireless-AC 9560 Wi-Fi adapter pushes wireless data up to 2X faster than other Wi-Fi solutions — so you'll get fast, smooth transfers, even when your rig is further away from the router. Intel Wireless-AC 9560 also offers Bluetooth 5.0 for connections that are up to 2X faster than ever before, and with up to 4X the range. 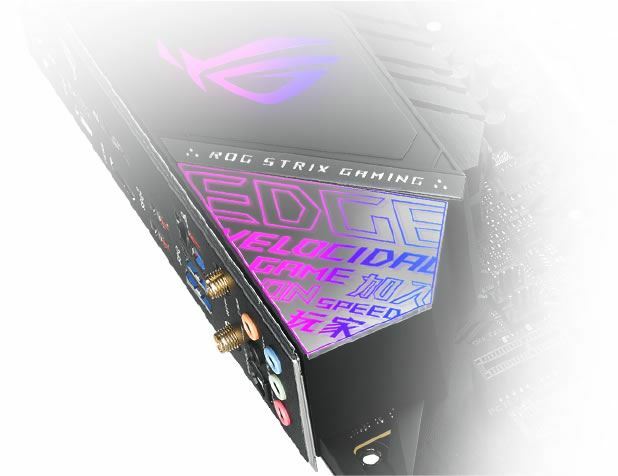 An illuminated ROG logo with a natural diffuse glow and onboard I/O shroud lighting with a futuristic cyber-text pattern gives ROG Strix Z390-E Gaming a unique and arresting design that communicates its gaming identity. The cyber outlook extends to the PCB and heatsink with subtle textures that contribute a premium look and feel.